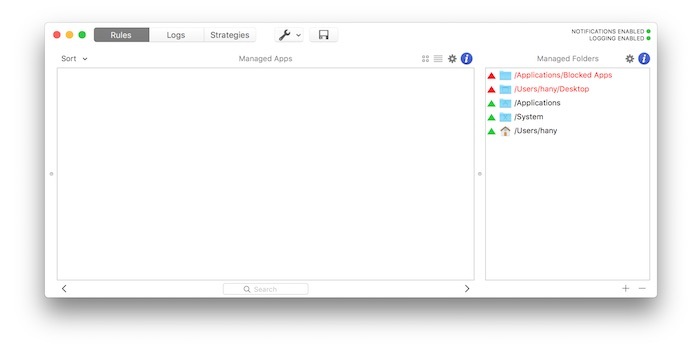 This view shows all ‘managed’ folders. On very basic configurations this view can be empty or can contain only one single rule for the '/' root directory. Add a rule dragging a directory from the macOS Finder to this view, or click the '+' button. Click '-' button to remove a rule. Rules order matters, you can drag rules to change their order.